Since the market crash of 2008 and 2009, shares of Alcoa Inc (NYSE:AA) have plummeted more than 80%, while aluminum prices in the U.S have dropped by nearly 45%. Alcoa Inc (NYSE:AA)’s shares have under-performed almost all the major U.S. indices, which leaves little interest for growth investors. But with the recovering infrastructure and automobile sectors in the U.S, China and India, aluminum is again gaining traction. Since Alcoa Inc (NYSE:AA) is the largest aluminum manufacturer in the U.S, it’s one of the prime beneficiaries of rebounding industrial indices. In fact, I believe that it could be one of the most undervalued contrarian plays in the market. Alcoa Inc (NYSE:AA) recently reported its quarterly results. Its quarterly revenue stood at $5.8 billion, which declined from $6 billion in last year’s quarter due to lower alumina prices and fewer days of production. Despite the stressed top-line performance, Alcoa Inc (NYSE:AA) reported quarterly EPS of $0.11 compared to $0.06 in last year’s quarter. Its management explained that aerospace, automobile and packaging volumes were up, which added $15 million to its net income. Meanwhile, the favorable price-to-volume mix in the U.S and Europe added another $21 million. Since the mentioned sectors are showing robust growth, it’s highly probable that Alcoa also continues its growth momentum. On the fundamental side, Alcoa currently operates with a debt-to-equity ratio of 67% and $1.6 billion in cash. Its debt-to-capital ratio stood at 34.7%, and the company’s management is working toward lowering the debt metric to 30.5% this year. That calls for a significant amount of extinguished debt, which should lower its annual interest expenses by around 14%. 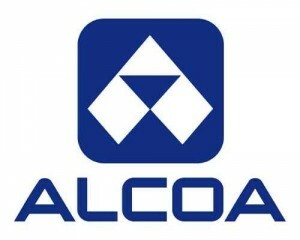 Currently, Alcoa Inc (NYSE:AA) has a total smelting capacity of 4.2 billion tonnes per annum, which makes Alcoa the world’s third-largest aluminum manufacturer, behind only Rio Tinto plc (ADR) (NYSE:RIO) and Rusal. Alcoa’s management expects annual aluminum demand to increase by 7% in FY13, and lowered the aluminum surplus estimate from 535,000 tonnes to 155,000 tonnes. But last year, Alcoa lowered its overall production by 12%, which hasn’t been recouped yet. This puts Alcoa in a sweet spot, as it can ramp-up its production with the rising demand without expanding its current facilities. That’s an optimistic picture, which should be beneficial to most of the aluminum manufacturers but not all of them.